Make no mistake about GRUESOME's intentions. The band is pure, shameless worship of the seminal band DEATH's early work. The masterminds who brought the vision to life were none other than EXHUMED's frontman Matt Harvey and drummer Gus Rios (ex-MALEVOLENT CREATION, DIVINE EMPIRE), both of whom were involved with the "Death To All" benefit tours that featured some former DEATH members. Said tour breathed new life into Chuck Schuldiner's world-renowned music, but it apparently wasn't enough to scratch the itch of the aforementioned death metal musicians. The other half of the band isn't exactly chopped liver. Daniel Gonzalez plays guitar for POSSESSED, and Robin Mazen plays bass for DERKETA. With a handful of demos and EPs and one full-length under the band's bullet belts in less than five years, it's clear that it's a fully operational war machine that's in fine form. 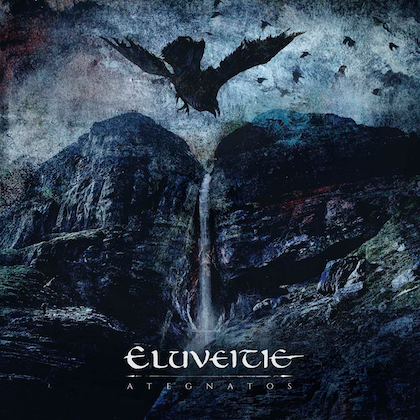 The battle continues with the group's sophomore full-length: "Twisted Prayers". 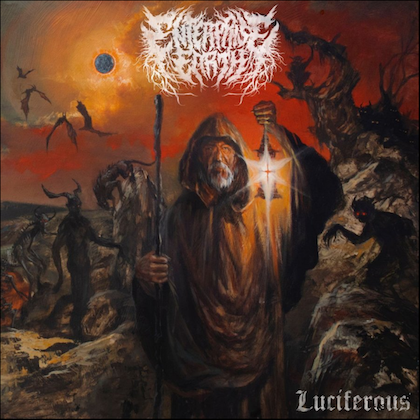 With album number two, the death metal fanatics have served up more of the same. Such a notion sounds negative, but that's really depending upon who you're asking. The unit's detractors will continue to scoff. On the other hand, existing GRUESOME fans, and a significant portion of DEATH fans who may not yet be familiar with the collective, want to hear what they know and expect. Some DEATH and classic death metal fans who are simply dismissive to the mere notion of a tribute act might be missing out if they don't actually hear the band. They aren't just some kids learning their instruments in a garage band. We're talking about seasoned, road-tested death metal veterans. "Twisted Prayers" is a fine slab of DEATH obsessed sonic madness in terms of both musicianship and spirit. In other words, the group can shred, but it seems to be performing with the heart and enthusiasm of the aforementioned hypothetical kids in a garage band. The tribute nature of the band couldn't be any more obvious even down to the cover art. The debut, "Savage Land", depicted Ed Repka art that shares clear similarities to his work on DEATH's classic "Leprosy". Musically, it mirrored that album as well as DEATH's follow-up, "Spiritual Healing". 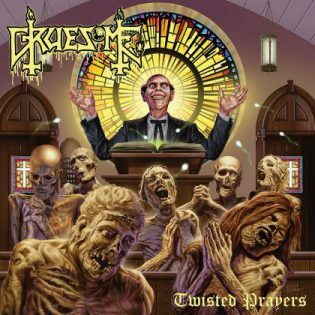 This time around, GRUESOME has similarly paid homage to the source band visually, again with the assistance of Repka, on "Twisted Prayers"'s cover, which is more than just a little bit reminiscent of the cover of "Spiritual Healing". Sonically, GRUESOME also drifted more toward the progressive nature that DEATH more fully embraced on that album. The songs are reliably (or predictably?) 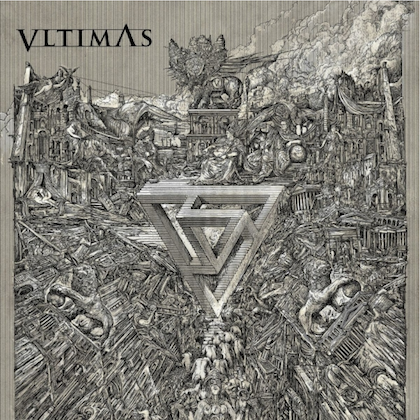 melodic, the lyrics are socially aware, and there's a pronounced thrash pace throughout. Also, "Twisted Prayers" is filled with elaborate, spell-binding solos that steal the show. The lead work on "Crusade of Brutality", for instance, is absolutely jaw-dropping. The cherry on top of it all may be the two guest guitar solos by none other than DEATH's phenomenal guitarist James Murphy. Producer Jarrett Pritchard (EXHUMED, 1349, GOATWHORE) successfully captures it all with the spirit of Moribund Studios shining through—meaning that the characteristic guitar tone is salient but the low-end is unfortunately neglected. Harvey even tailors his distinct vocals towards Schuldiner's. Nostalgia is the intention. Again, depending on who is listening, things are either going to be delightfully familiar or painfully plagiaristic. "Lethal Legacy" is an absolutely ripping track. Does it sound like DEATH? Obviously. It also happens to sound like classic PESTILENCE. Regardless, it's just high quality, timeless death metal. Whether it tickles one's fancy or not, no one can deny that GRUESOME performs DEATH derivative songs with feeling and precision. The songs are certainly more satisfying and rewarding than the majority of what's heard from the heap of modern day tech inclined death metal. What's the point of it since we have DEATH, some may ask? One word: Fun. You'll either devour the carcass, or you'll let the maggots consume it.